Researchers have proven that you can be injured in a car accident at speeds less than 5 mph and without any damage to your car. Low impact accidents can cause permanent pain, suffering, and crippling arthritis if they are not treated properly. Most of these “low impact” crashes do not cause the severe pain at the time of the accident. Many of these victims that will end up in constant pain later in life, didn’t feel any pain at the time of the car accident and never even knew they were injured. It is always best to seek chiropractic advice, possibly sparing yourself much pain and suffering in the future. At Vida Chiropractic in Newark, New Jersey, our full staff of professional auto injury experts will work with you and help you get approved for our services. We can also refer you to the legal help you may need. 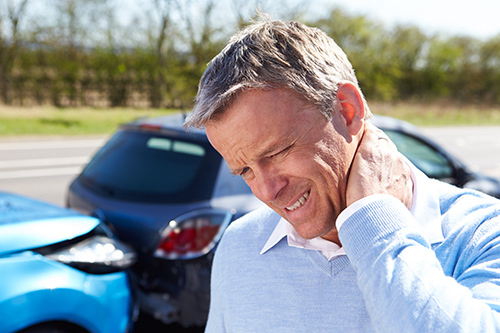 Common motor vehicle accident injuries include Whiplash and Back Pain. Of the millions of people who visit chiropractors and physical therapists each year, many have had whiplash injuries. Whiplash symptoms can start as neck soreness or stiffness and can be accompanied by headache, fatigue, jaw pain, arm pain and more. In more serious injuries it can even lead to depression and sleep disorders. Whiplash injuries are the most common injury in motor vehicle accidents and occur when a person's spine, or neck, was unexpectedly and suddenly thrown quickly in one direction and then immediately after pulled in the opposite direction. This unexpected and unnatural motion can cause injury to your soft tissue. Back pain is the most common complaint after an auto accident and the #1 reason people miss work. Most people will experience lower back pain at least once in their life. A chiropractors main purpose is to make your spine healthier and stronger. All people suffering from back pain should consult a chiropractor. Chiropractic adjustments can improve your spinal function, ease or eliminate your pain, and help you return to your normal daily functions. How can Chiropractors Help with Auto Injury Accidents? Chiropractors have helped millions of people with low back problems, often saving them from drugs and surgery. The chiropractor's purpose is to make your spine and its nerves, discs and muscles healthier, stronger and more stable by correcting your vertebral subluxations. Anyone suffering from a back problem should see a chiropractor to make sure there is no spinal nerve stress and to have it removed or corrected if it is found. This may make the difference between a life of health and comfort or a life of pain, disease, and disability.